Generating sets are widely used in building. 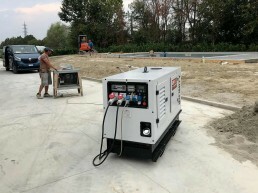 Whether it is for road construction site, home or industry, construction companies always have one or more generating sets among their equipment. Transporting equipment from one site to another requires very robust, easily loaded machines that are easy to handle inside the construction site. 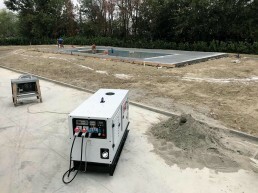 Operators will connect different equipment such as concrete mixers, plasterers, grinders, drills, milling machines, sanding machines, saws, screwdrivers, etc. to the power generator. Generator start-up must therefore be an easy, fast operation. 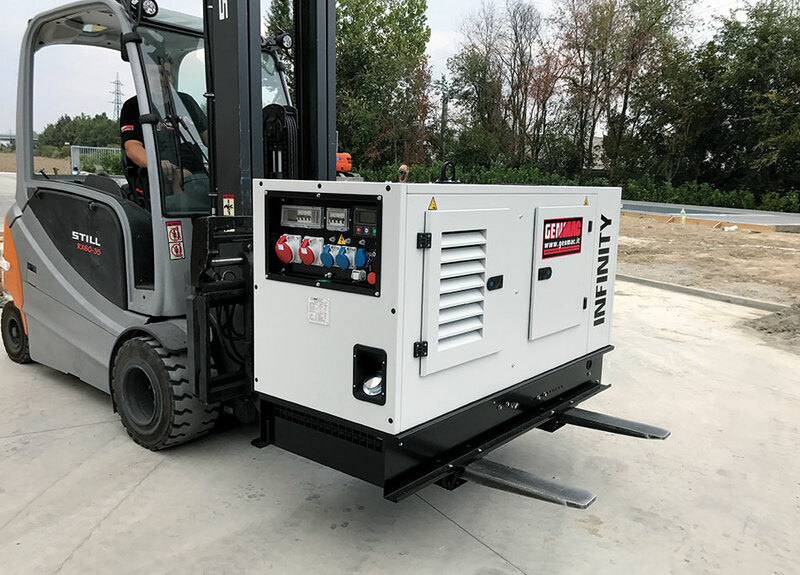 Genmac offers generating sets for construction sites with reinforced structure, equipped with practical bilateral forklift pockets, designed so that it is possible to pick the generator up both from the long side and from the short side, in the utmost safety. 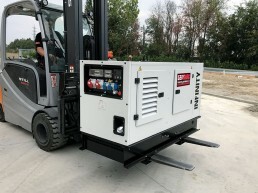 The central lifting hook is an additional lifting point, but above all it allows you to hang the generator to the crane at the end of the day when needed, to avoid theft. The control panel has 5 sockets, protected, simultaneous powering of the different equipment used at the site. 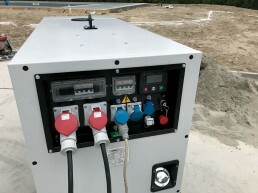 Avoiding the connection of external distribution boards. 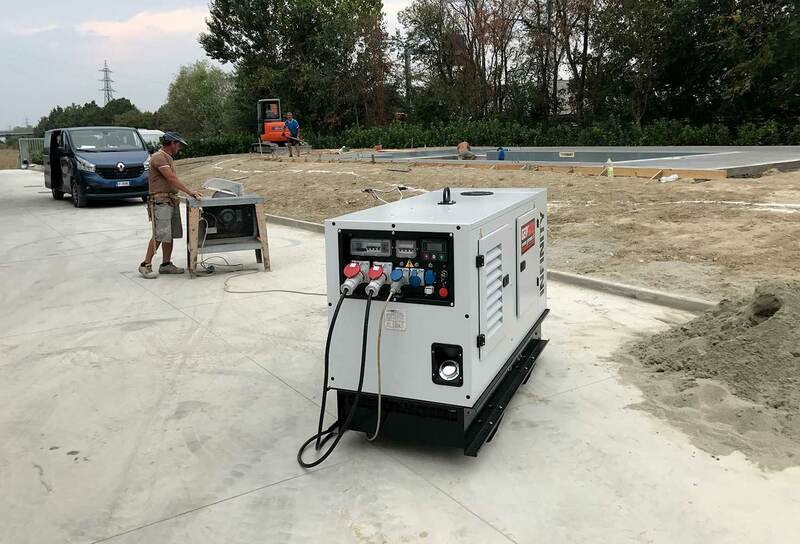 Genmac generators are very sturdy, ready to use and are added manpower on your construction site! 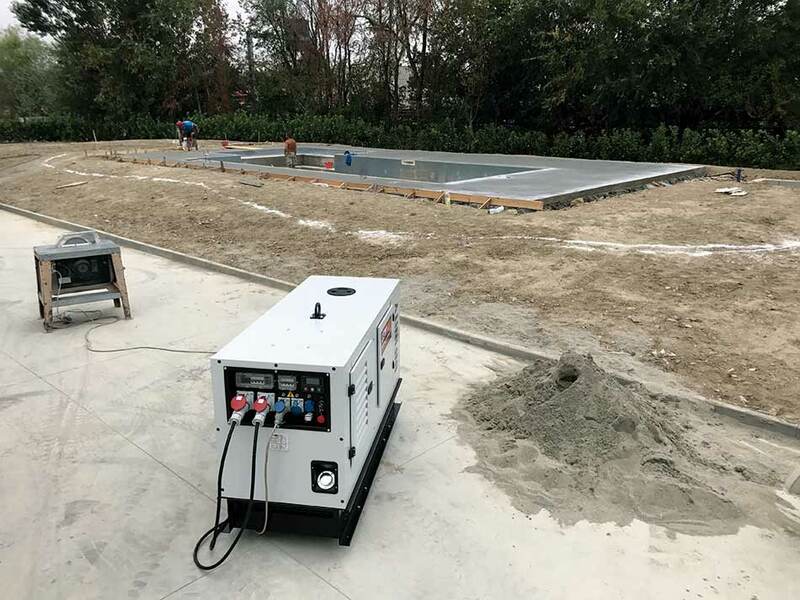 Please note that emission regulations in Europe provide that the power generator used on construction sites have a Stage 3A engine. Choose engines correctly to avoid sanctions.